Photo courtesy of DisneySongLyrics.com. One of the most iconic scenes of "Beauty and the Beast" features Belle and the Beast dancing to the title song of the film. Tales as old as time never get old. And that’s exactly the case with Beauty and the Beast, which many of us grew up with. Disney recently re-released this 1991 movie to theaters in both remastered form and 3D. Although almost everyone knows the plot of this charming French story, I’ll briefly recap. In the late 1700’s an inconsiderate prince is cursed to live as a Beast until he can find mutual love with a woman. Eventually Belle becomes a prisoner in the Beast’s castle so she can save her father’s life. Over the course of her time, there she goes from hating to the Beast to actually appreciating him. 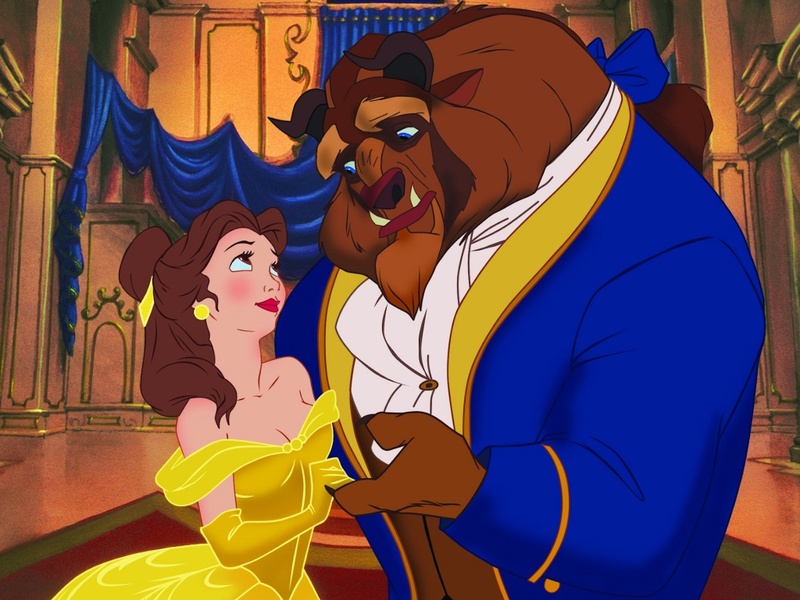 One night, Belle views her father in the Beast’s magical mirror and sees that he is sick and dying. She wishes to go help him, and the Beast allows her, even though the spell he is under will become permanent very soon. Belle returns to her hometown with her father and tells the townspeople of the Beast. Afraid that the Beast will hurt their families, the townspeople go to the castle to kill him. Belle must make it back to the castle to stop the fighting before the Beast dies. This movie benefited from being in 3D in a few different ways. First of all, the landscapes and architecture really pop now, so audiences can see how beautiful the countryside is. Also, it increases the energy in fight scenes like Gaston’s bar brawl. My favorite scene was Belle and the Beast dancing in the ballroom. The chandelier looks gorgeous and the stars outside the gigantic windows set the mood. Other than these aspects, 3D didn’t do a lot for the movie. Many of the original drawings were a simple character against a plain background, so the 3D seemed extraneous. Also it contributed to jerky movements during conversation between characters. So whether you pay the extra cash to see the movie in 3D is up to you. Either way, the story still remains a Disney classic with the storyline and magical soundtrack. Fantastic vocalists perform songs like “Be Our Guest” and the theme song. You may be excited to note that preceding the movie is a short titled “Tangled Ever After” in which Rapunzel and Flynn Rider are about to be married. When Pascal, the flower chameleon, and Maximus, the horse ring bearer, lose the wedding rings, they are forced to go on a chase. Hopefully they will get the rings back before anyone notices they are missing! Beauty and the Beast may be a children’s movie, but the themes of love and beauty are still relevant to everyone. There were about 30 people in the theater I went to and maybe 3 of the people were kids while everyone else was in their teens or twenties. It just goes to show that many people love seeing a Disney classic that they knew as a child.